So I have some things to say today. Obviously, I’m devastated at the results of the US election. It’s hard to imagine how so many Americans came to the conclusion that a man whose rhetoric hovers at grade-school levels is a better choice for president than a qualified, poised woman. In January, an individual who was enthusiastically endorsed by the Klan will be in the White House. Truly, it boggles my mind. I have no explanation. There is no excuse. But one thing Americans don’t do easily is give up, and I am every bit as American as the people who are celebrating the election’s outcome today. They aren’t the only ones who get to define what America is and what we stand for. I won’t cede that to them. So I’m going to donate money to my public library today. I’m going to drop some cash on a cause I believe in. Because even if my vote on election day doesn’t really count for much in this deep-red state I live in, I can still vote with my dollars, and today my dollars will be spent on spreading knowledge and ensuring the proliferation of free information. Look, I can afford to buy pretty much any book, magazine, periodical, or newspaper I want. I can afford internet access in my home. But not everyone can, and the people who suffer when the wealthy and authoritarian are unchallenged in their positions of power are the ones without access to those things. I can fund my public library and the materials and programs it provides even if my government does not. I’m also going to talk about why I go out of my way to read and promote books by women and people of color. Maybe you’ve noticed that around half the books featured on this site are by people who don’t identify as white, or that almost three-quarters are written by women, or that LGBTQ authors and themes are represented as well. It’s because these voices are important, perhaps now more than ever. You don’t know how limited your own perspective is until you make an effort to listen to the perspectives of others. Reading widely has opened my eyes to all kinds of issues I’d never considered before, that are outside of my personal experience but still very real in other people’s lives. If what you read only reaffirms what you already believe, I challenge you to embrace critical thinking and pick up a book that presents a different view. Don’t be afraid to learn new things or listen to unfamiliar voices. If your beliefs crumble under scrutiny, maybe they weren’t built on that firm of a foundation to begin with. Want to start diversifying and enriching your reading today? (You know I’m here for you with a recommendation!) 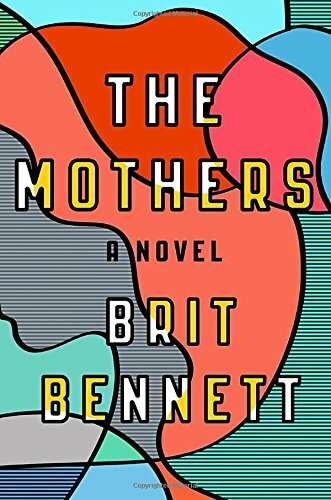 Try The Mothers by Brit Bennett. It’s one of the most-buzzed books of the fall, and for good reason. It’s about Nadia and Luke, whose casual high-school fling turns serious when Nadia gets pregnant, and Aubrey, a quiet loner struggling to find a place where she fits in the world. It’s about how the effects of their choices ripple outward over the years, causing pain and damage, but also maybe inching toward love. It’s also about the mothers, the women of the church who raise their children and gossip about their lives and bring casseroles after funerals. If you like family dramas and character-driven novels, The Mothers will be right at home on your shelf. And believe it or not, it’s a debut. This will not be the last time you hear Brit Bennett’s name—she’s going to be an author to watch in the coming years. I’m sad today. I’m afraid of what our country will be like for women, for minorities, for non-Christians, for immigrants—good Lord, for children—in the next four years. I’m worried that people who harbor hate have been given a voice and a platform. My reading of history tells me we’ve been here before as a nation, and it’s a place many of us hoped and prayed we’d never see again. But my reading of dystopian fiction has taught me that we fight ignorance with knowledge. We fight darkness with light. I’m going to keep reading and thinking and questioning. I hope you’ll join me. Newer:More Creepy Fall Reads!Older:Creepy Fall Reads!